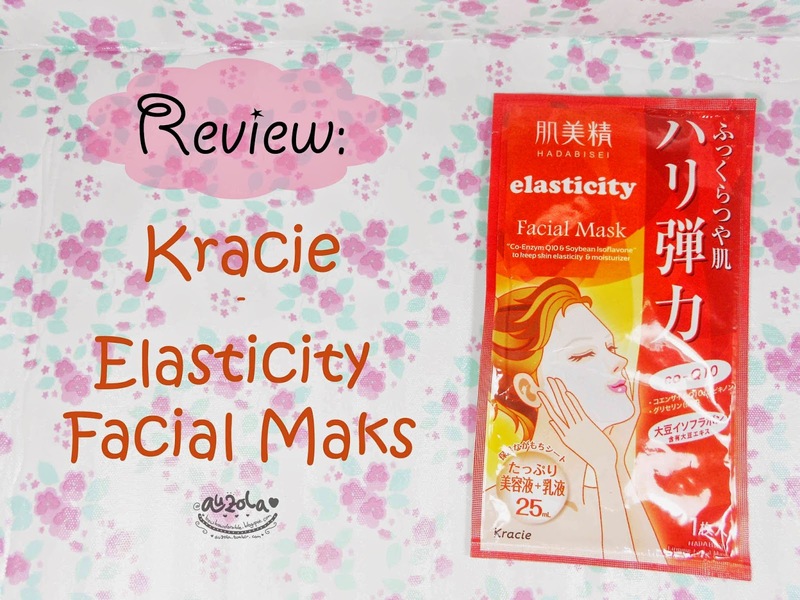 I'm back with another review, this one is about Kracie elasticity facial mask that i also got from Kawaii Beauty Japan ! 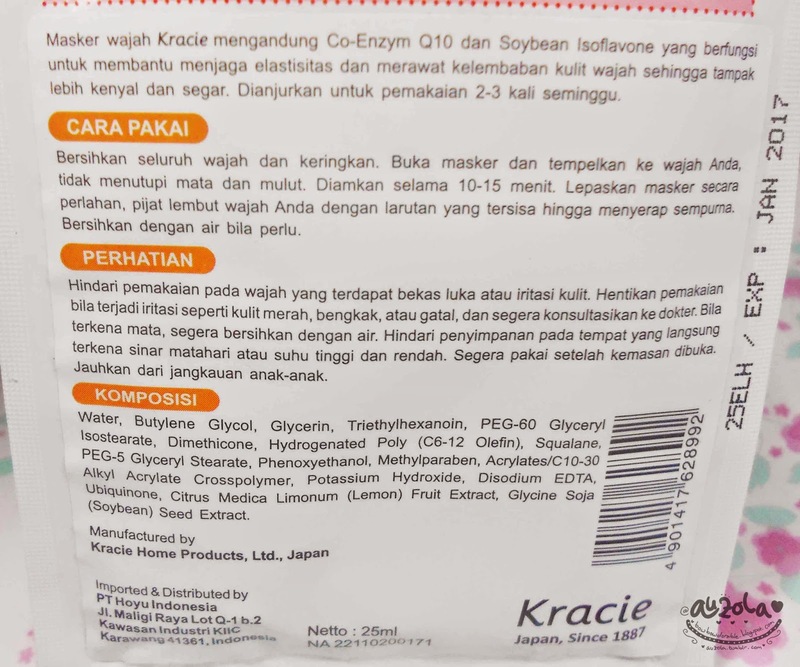 I already review a mask from Kracie as well few days ago, but different version from this one, check it HERE. A little about Kawaii Beauty Japan if you haven't heard of it; basically it's a website that share article about beauty and lifestyle. Not only general beauty and lifestyle, but it also share beauty and lifestyle from Japan. You can see so many article about beauty or lifestyle from Japan there, not to mention that they frequently has an amazing giveaway! So you gotta go visit and register at Kawaii Beauty Japan ASAP! Lets see the packaging first! 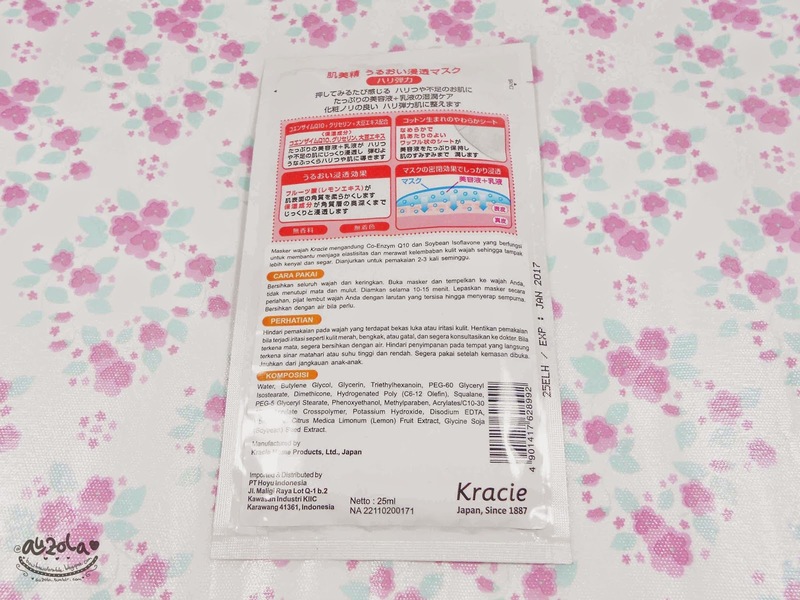 The packaging is simple with orange color and lots of Japanese font that i don't quite understand, just like the extra moist mask one. Back side, contains how to use, caution and ingredients. How to use: clean up your face and dry it up. 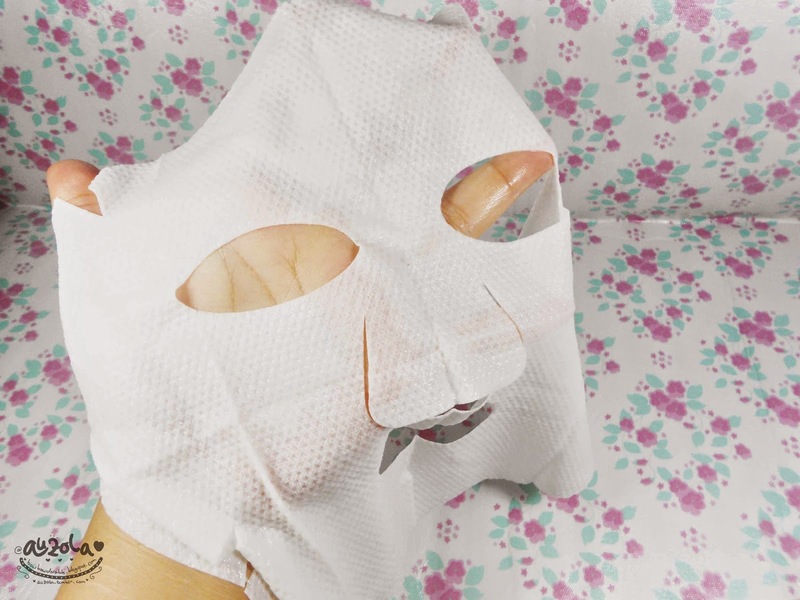 Open the mask and place it on your face, then wait for 10-15 minutes. Peel the mask off and gently massage the face so it will absorb well. Clean up with water if necessary. Caution: Do not use it on irritated skin. Stop the usage if irritation occurs and go to the doctor if the irritation symptom got worst. Clean with water immediately if you accidentally irritate you eyes with the content. Place it on cool places and do not place the mask in direct sunlight. Use immediately after opened. Keep it out from children reach. I like the mask texture/fabric. So thick and not easily torn. This is the mask liquid or essence on my finger. Quite refreshing and also feeling nice. 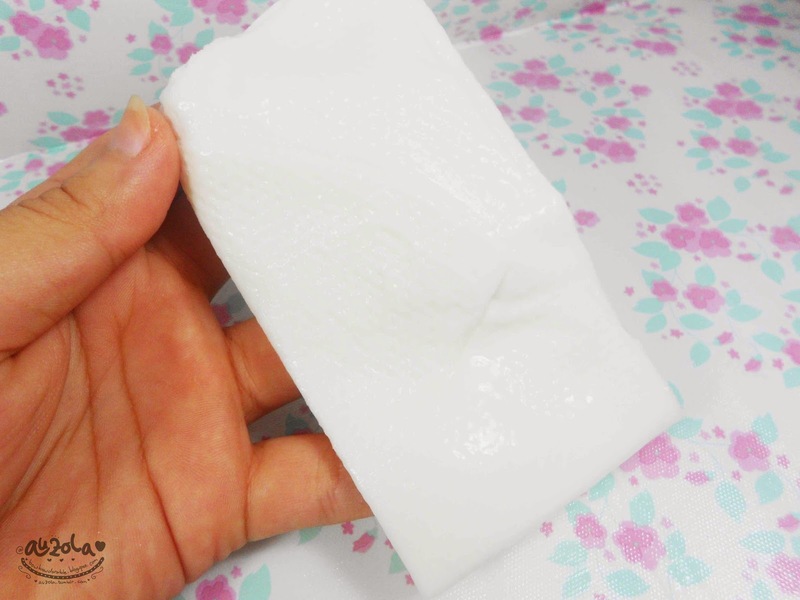 The texture might a bit thicker and milky, unlike the Kracie extra moist facial mask, but somehow i prefer this one. The first picture was when i used the mask for about 15 minutes. The second picture was when i opened the mask, you see the liquid was still on my face, and i was just massage my face until the liquid absorb better and leave it be. The third picture after a few moment, it already dried up, but somehow still feel a bit sticky but moist and elastic as well. I quite like the this elasticity facial mask. It smells nice and the essence is also quite thick that feel really nice on the face, very relaxing and nice. Plus the mask texture/fabric is sturdy, it doesn't get torn easily and it will stick on your face, so you can do whatever you're doing while using this mask. 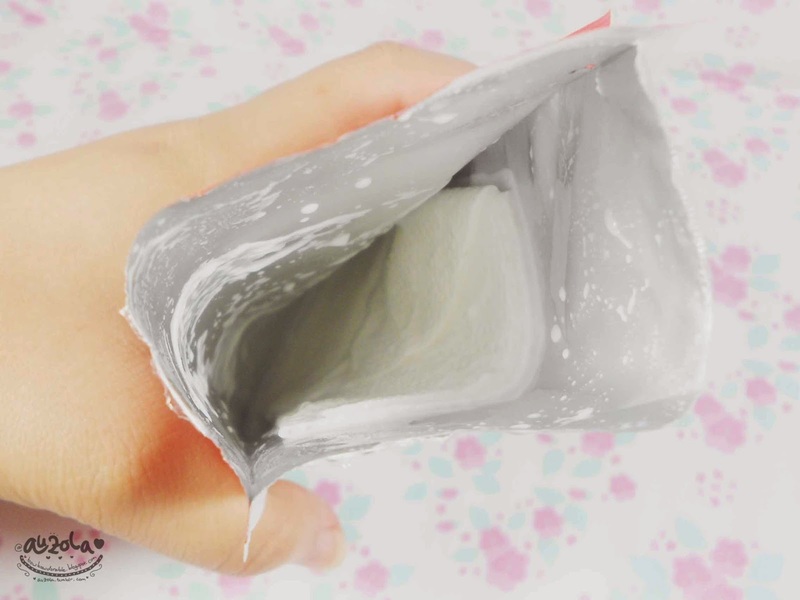 The mask contain Co-Enzym and Soybean Isoflavone that can maintain your skin elasticity and moisturize your skin. That's why after using this mask my face feels so much more elastic than before, also the skin feels quite tight and moist at the same time. I just don't like the sticky feeling after using this mask, but i want the liquid get absorb perfectly that's why i don't want to wash it either, but if you feel the sticky feeling so annoying, you can just wash it off after using the mask. 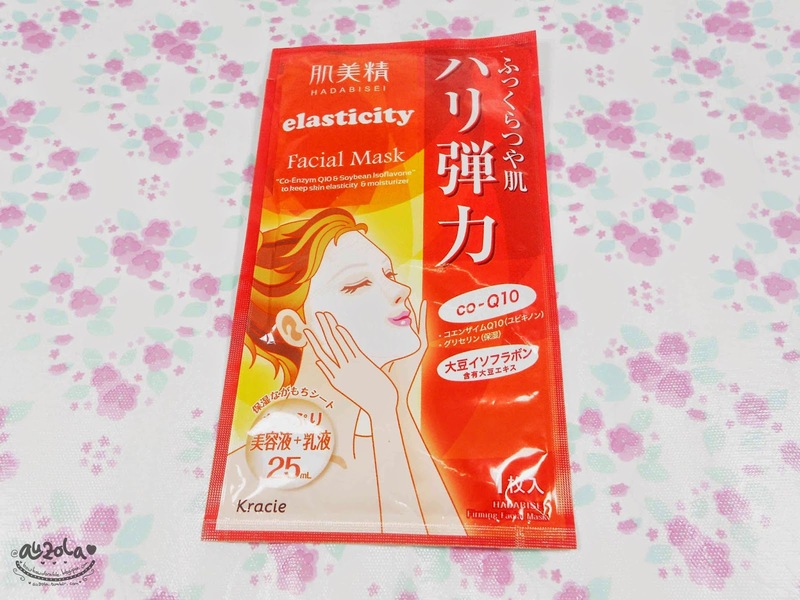 In conclusion i like this Kracie Elasticity Facial Mask, doesn't irritate my skin or making it itchy (like some other mask does), and leave my skin feels tight and elastic. Just the sticky feeling is a bit disturbing, but as i say, you can always wash it with water after using the mask, so no big deal. Thanks to Kawaii Beauty Japan for giving me this mask! Psstt, don't forget visit their website to read some useful article!